Changes in what's displayed in search results announced Tuesday by Google has one prominent privacy advocate ready to file a complaint with the Federal Trade Commission (FTC). Marc Rotenberg, executive director of the Electronic Privacy Information Center, based in Washington, D.C., says his group is mulling filing a complaint with the FTC over Google's new Search Plus Your World feature, according to the Los Angeles Times. When pressed to elaborate on his comments to the Times, Rotenberg would only say that he will have more information on the complaint on Thursday. 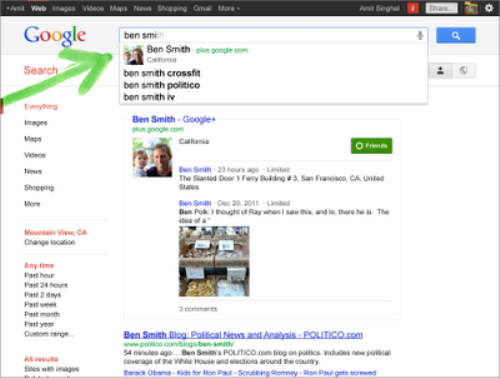 Under Search Plus, Google will include information from personal sources in your search results. 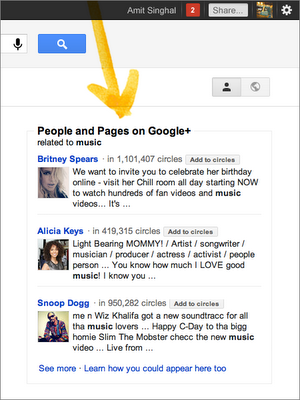 For example, postings made to Google+ either by you or someone in one of your "circles" will appear in your search results. Photos from Picasa, Google's photos service, will appear in searches, too. "Although data from a user’s Google+ contacts is not displayed publicly, Google’s changes make the personal data of users more accessible," EPIC says in a posting at its website Wednesday. "Users can opt out of seeing personalized search results, but cannot opt out of having their information found through Google search." If these changes prove to be controversial, they could not come at a worse time for Google. A number of regulators are looking into the Ferret King's search practices, including the Federal Trade Commission, six state attorneys general, the European Commission, and the U.S. Senate. Those investigations involve complaints that Google is using its search engine to suppress competition on the Internet. In announcing Search Plus, Google says in its blog: "Google Search has always been about finding the best results for you. Sometimes that means results from the public web, but sometimes it means your personal content or things shared with you by people you care about." "These wonderful people and this rich personal content is currently missing from your search experience. Search is still limited to a universe of web pages created publicly, mostly by people you’ve never met. Today, we’re changing that by bringing your world, rich with people and information, into search." While that sounds like a good idea to Google, to some of us it sounds like an argument why search engines shouldn't be running social networks.